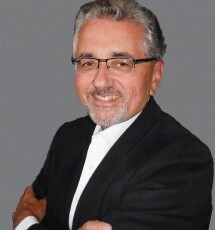 Mike is an owner of The Alternative Board of Bergen County and a successful executive and consultant. Mike has been the Executive Vice President responsible for the entire supply chain for a $100 Million menswear retail chain and has served as the President of a woman’s apparel retailer and wholesaler. Mike led a team that grew and sold a third party logistics firm with over 100 employees servicing such well-known brands as Brooks Brothers and Laura Ashley. For over 15 years Mike has been a successful business owner as a managing partner in a boutique consulting firm servicing the retail and direct to consumer industries, and later as the owner of Windham Advisors which specializes in advisory and development services in the area of strategic and tactical financial and merchandise planning. He has also been a team member on several workout projects guiding companies through Chapter 11 and returning one company to viability after a Chapter 7 filing. Mike was born in New York City and has been a resident of northern New Jersey for over 35 years. He holds an undergraduate degree from Niagara University and a graduate degree from Montclair State University. Mike is a Microsoft Certified Technical Specialist in Microsoft’s enterprise database and business intelligence platform, SQL Server and is also a TAB Certified Facilitator and Coach. Mike enjoys time on the water and holds a current Commercial Captain’s (OUPV) License from the United States Coast Guard. The best business decision that I’ve ever made (besides opening my store) was to join the TAB Board. It taught me how to structure and formulate basic fundamental policies and procedures; it has helped me sharpen my vision for future business and personal goals. The TAB Board provides a safe place to bounce around ideas and receive honest, creative solutions to important business challenges. Coaching sessions are professional, focused and very enlightening. They have helped me work on my business and not in my business.